You may already be aware that there are two primary types of cannabis: sativa and indica. The former often acts as an energizing stimulant, while the latter is more relaxing, and is responsible for that “couch-lock” effect you may have heard about. 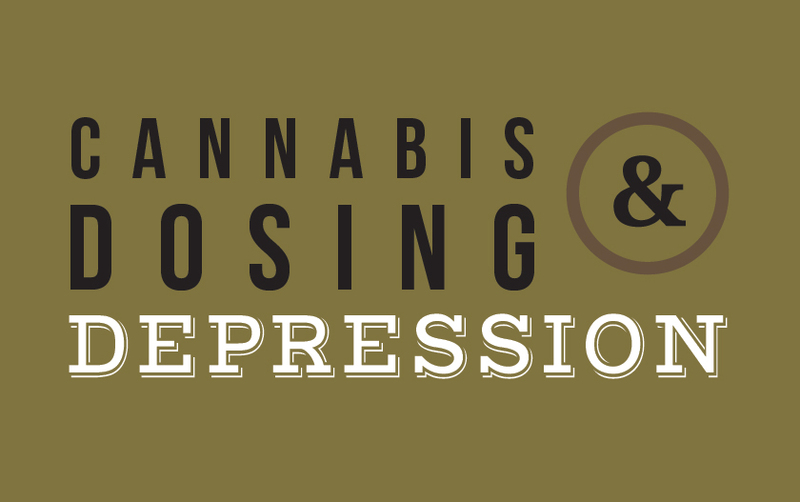 Knowing this, it is unsurprising that sativa-dominant cannabis strains are the best choice for treating depression. Once your options have been narrowed to sativa-dominant strains, you can still choose between THC and CBD. THC has been shown to increase serotonin production, but CBD can also act as an anti-depressant, though there is less research available explaining the science behind this. If your periods of depression come on quickly and you are seeking immediate relief for your symptoms, smoke or vaporize your cannabis products in the form of the classic flower or “bud”. By ingesting the medication in this manner, the cannabinoids (THC and CBD) will enter your bloodstream instantaneously, and get to work right away. Whether you’re smoking or ingesting, start small (1 to 2 mg) if you’re new to THC. This method of treatment (and the opposing method for CBD) are outlined in our general dosing article. One great FARM option for treating depression is our tinctures. This concentrated form of cannabis is placed under the tongue via a dropper. The medication is quickly absorbed into the bloodstream and takes effect within minutes. FARM’s THC & CBD tincture, made with grapeseed oil, contains equal parts THC and CBD; a one-millilitre dose delivers 10 mgs of each cannabinoid. Non-psychoactive CBD could also be sufficient to relieve depression symptoms. Try a syringe of Phoenix Tears, which are available in 5:3 and 10:1 CBD to THC radios. One rice grain-sized dose of the versatile concentrate contains 5mg of CBD and 3mg for the 5:3 ratio and 10mg of CBD and 1mg of THC for the 10:1 ratio. Phoenix Tears can be applied under the tongue or vaporized for immediate relief.